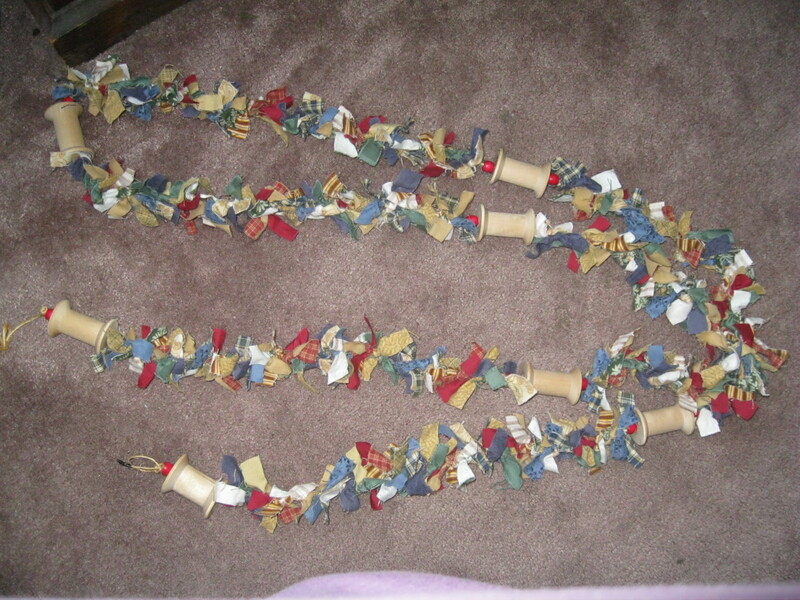 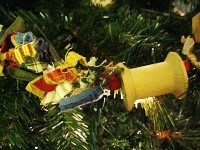 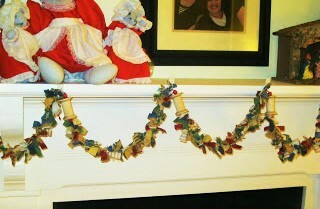 These cute holiday garlands can be made recycling old flannel shirts. 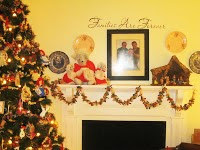 My daughter and I saw a similar garland on a girls weekend away at a Christmas store for $50.00! 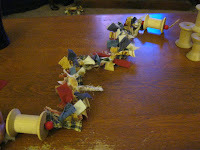 We loved it, but were sure we could do it ourselves for almost pennies. 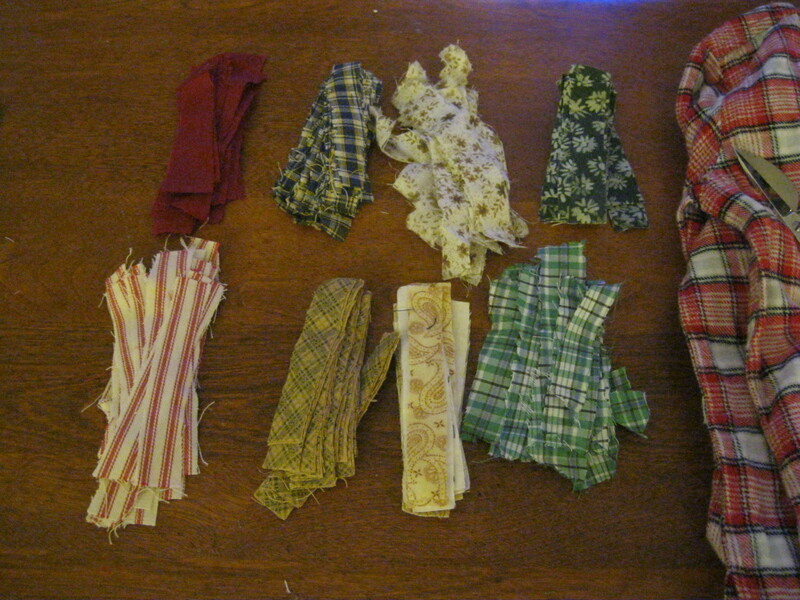 We were on a mission to make them as cheap and cute as possible. 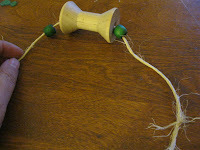 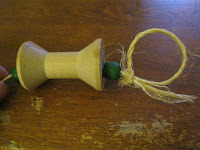 2) Look for wooden thread spools. 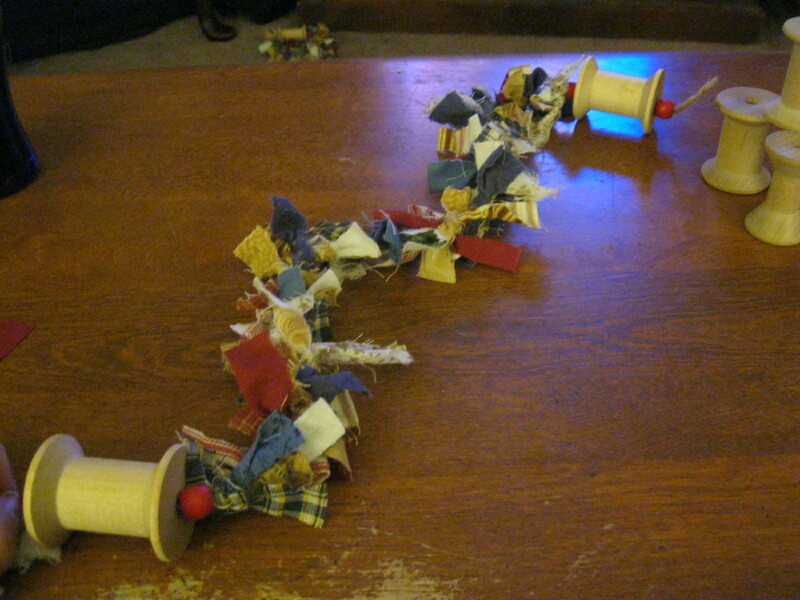 You can buy them at craft stores, but look at yard sales and estate sales. 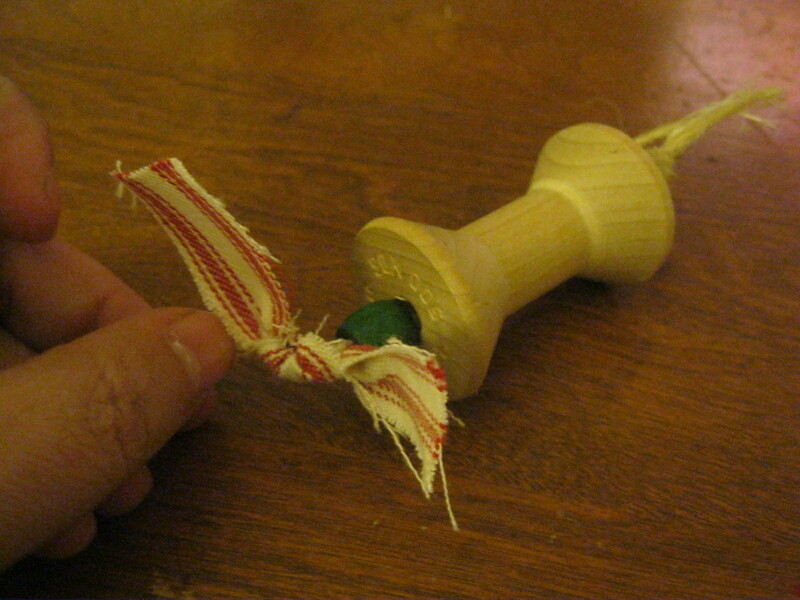 we lucked out. A friend was holding a yard sale and had boxes of old spools with the thread still on them. 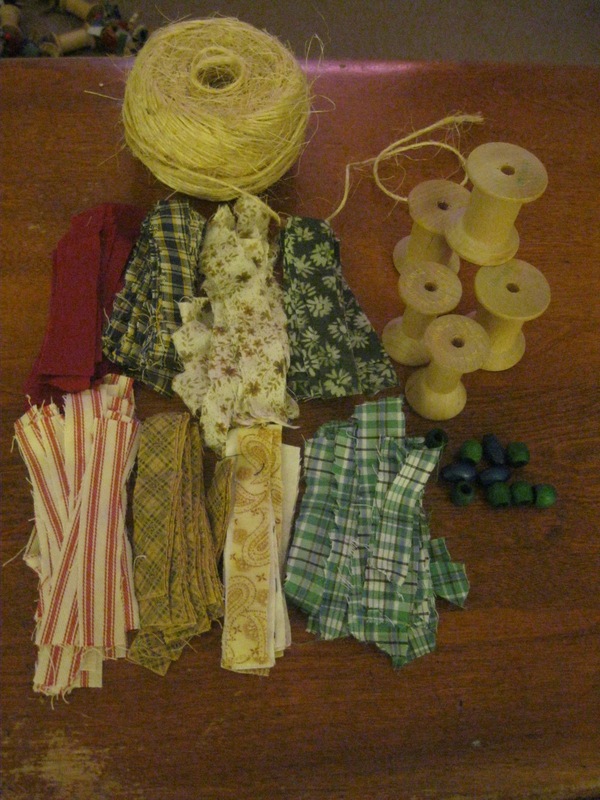 We used razor blades to cut the thread off the spools and got several dozen for less than $2.00 total! 3) collect beads, buttons, anything you'd like to add! 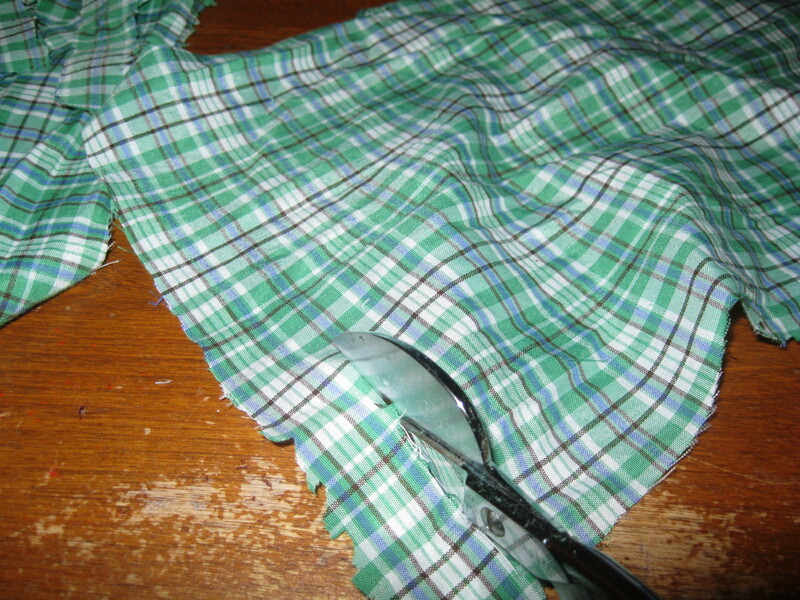 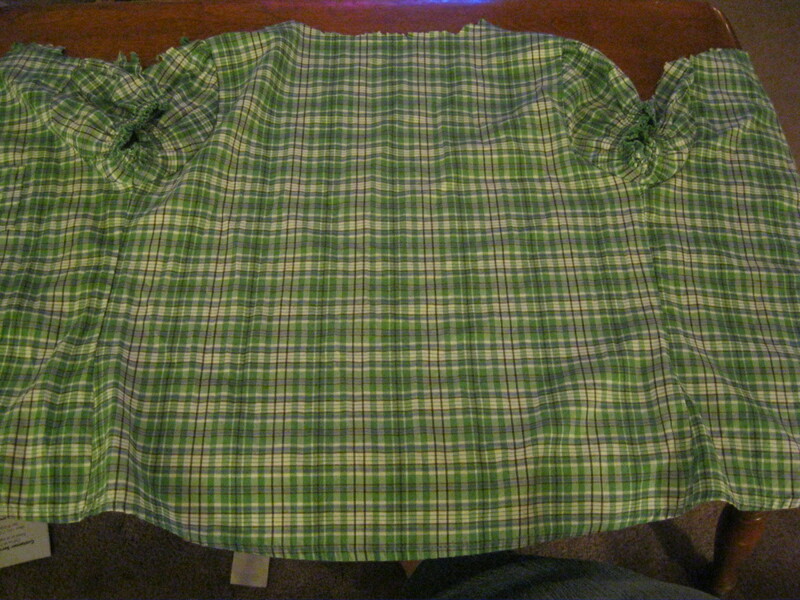 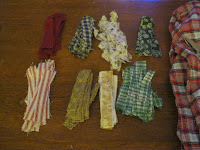 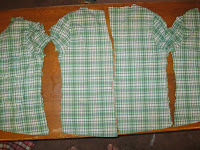 1) You'll need to cut your fabrics into the desired length of strips. 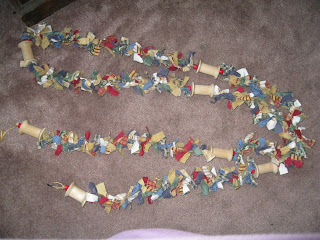 We used a rotary cutter mostly and cut them to about 4 1/2 inch strips. 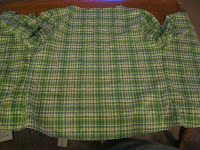 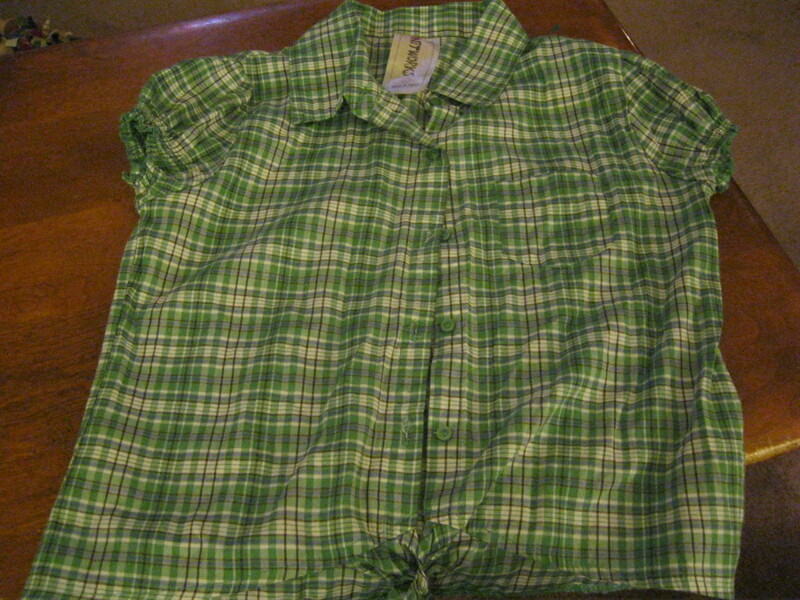 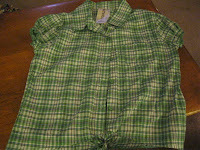 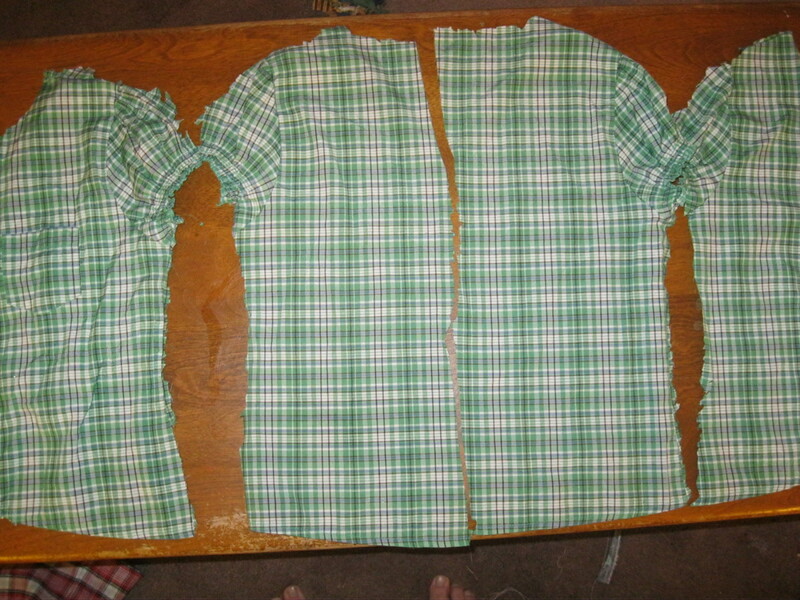 cut or tear each shirt panel into desired length strips. 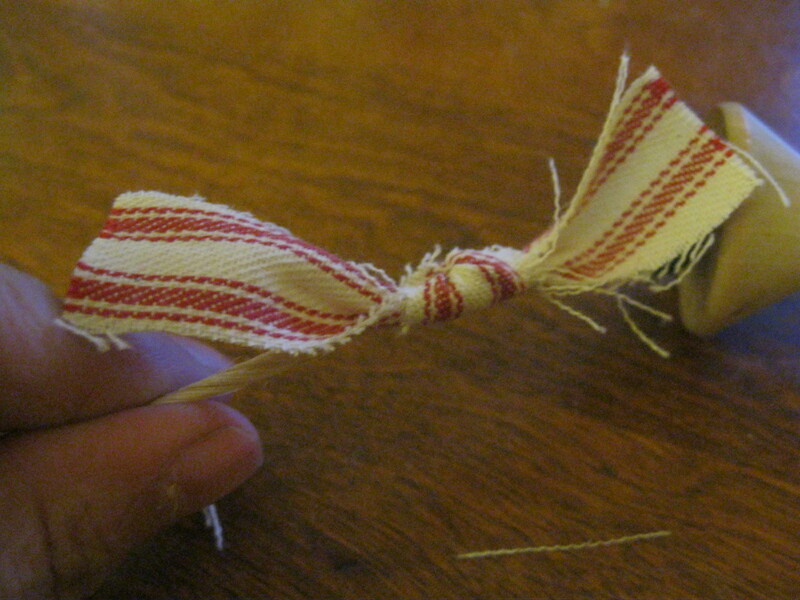 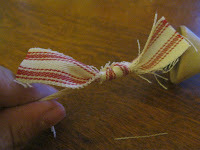 6) Complete the entire length of the garland ending with a bead-spool-bead combo and also leaving several inches to tie a loop/knot like the other end. 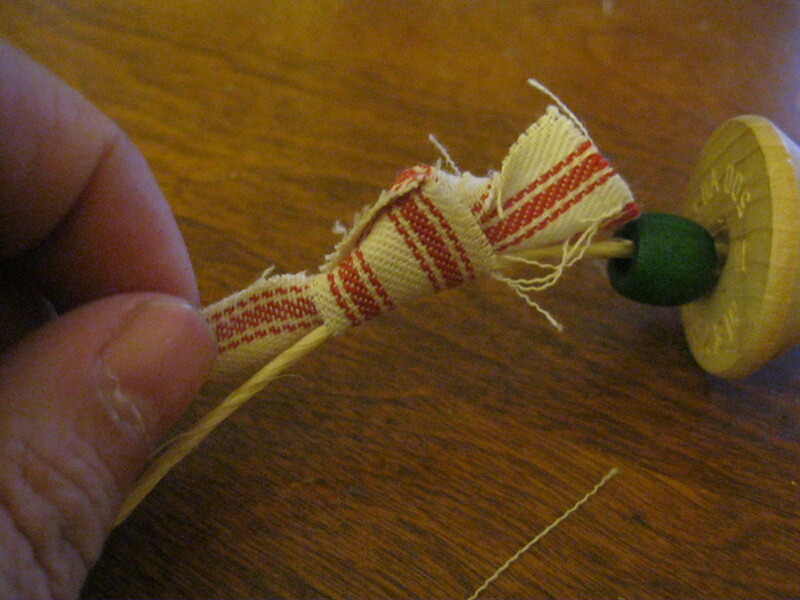 Jan's tip: dip the end of the jute in melted candle wax to keep it from fraying while you are feeding the beads and spools on the garland.